Host your website on our servers for maximum convenience. 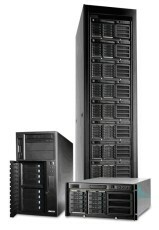 Our servers are located in one of the most up-to-date data centers. As a result they are protected from power outages or fire. By hosting your website on our servers you get maximum availability of your website 24 hours a day with a 99% guarantee. Web hosting services are provided continuously except for extremely rare breaks for essenatial technical maintenance. For the purpose of your project, you are provided with up to 5 GB of disk space. Connection speed to NIX and SIX is at 10 +10 Gbps. C​onnection speed abroad (three independent lines) is 10 Gbps, 1 Gbps and 1 Gbps. The price for our web hosting services and for the access to AlejTech CMS depends on the number of visitors of your website.